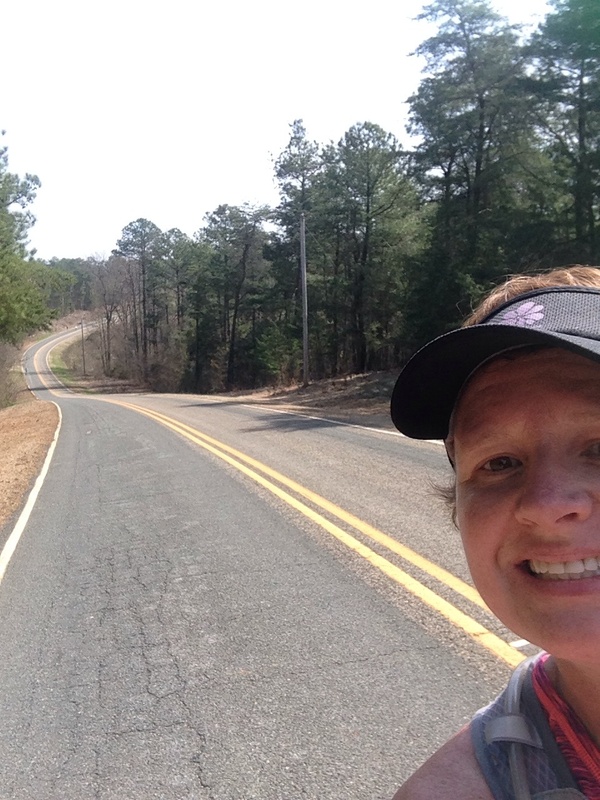 In February, I stumbled upon the Ellerbe Marathon while searching marathonguide.com for some local races I could run as part of my CedarIsland40 training. 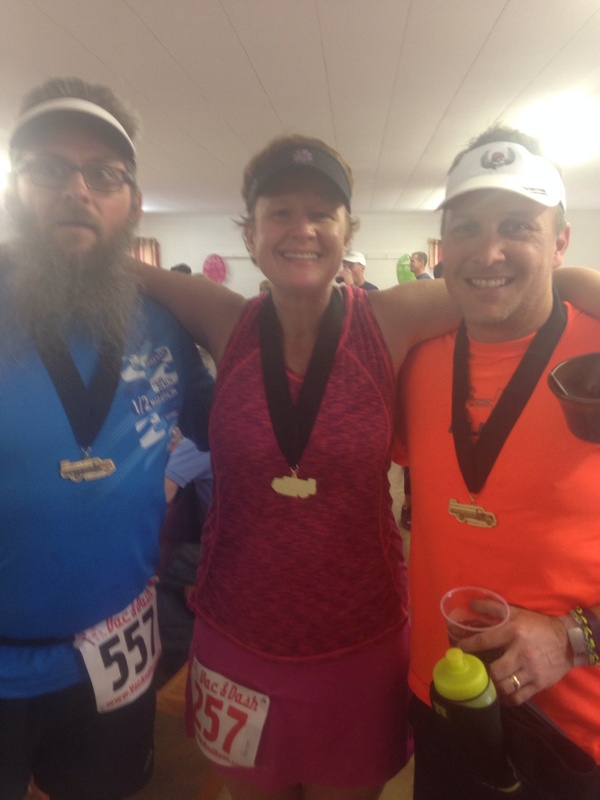 I had never heard of the Ellerbe Marathon nor had any idea where Ellerbe, NC was. 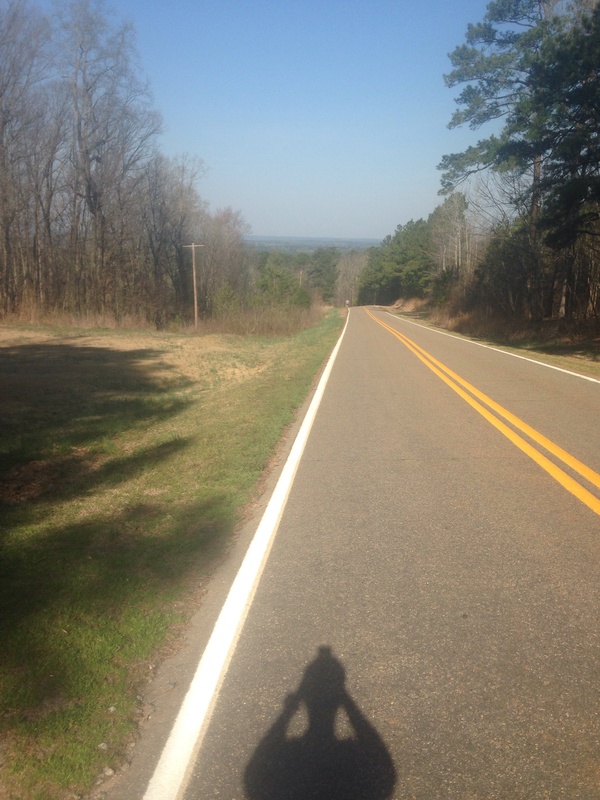 After reading the reviews, I was fully convinced Ellerbe was worth the 1.5 hour drive from Raleigh to get in some training miles. I submitted my paper registration via snail mail and was ready to go! 1. No traffic, no crowds, no lines, no nonsense, and plenty of parking. Race day packet pick up. 2. 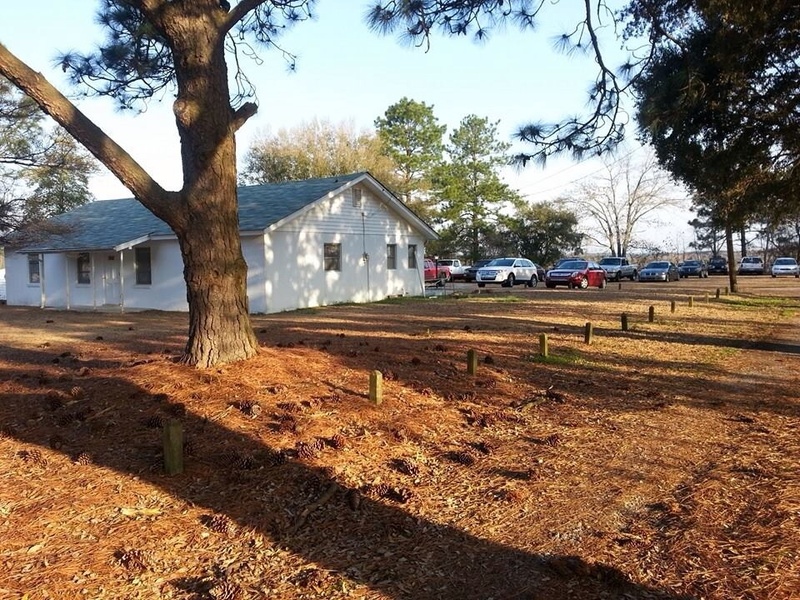 No Porta Potties, real facilities, plumbing, and running water! 3. 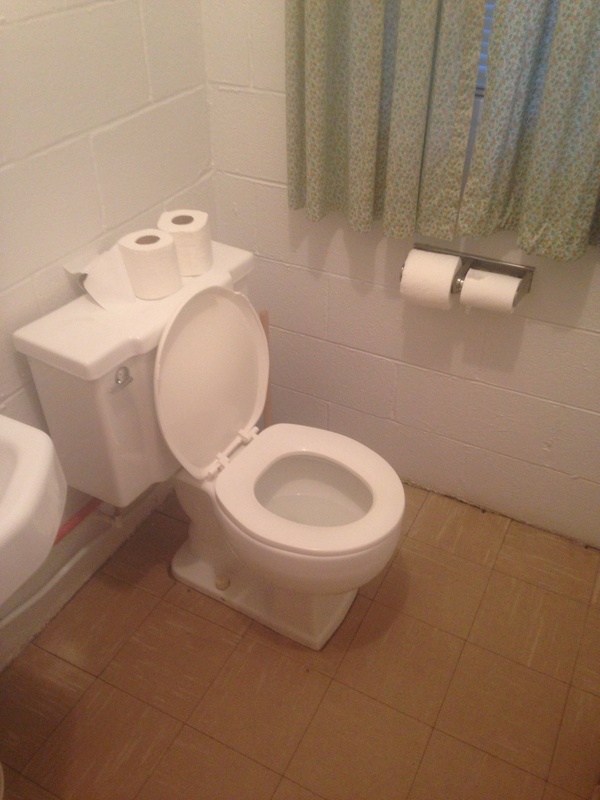 NO line for the women’s bathroom. I was so shocked I had to take a picture. As you see there is no wait for the ladies room. BONUS! No wait for ladies room! Men’s bathroom line. 4. 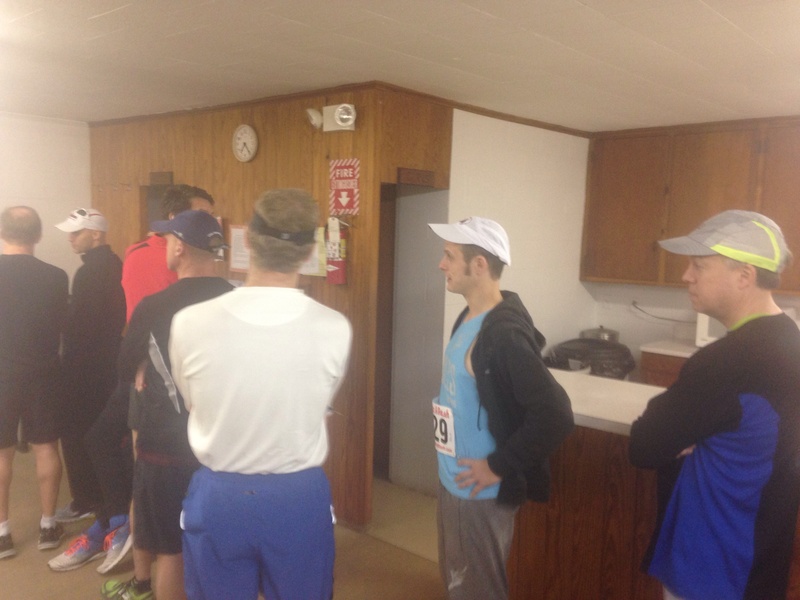 Mark Long, Race Director, gave some brief instructions, recognized some fellow veteran participants. 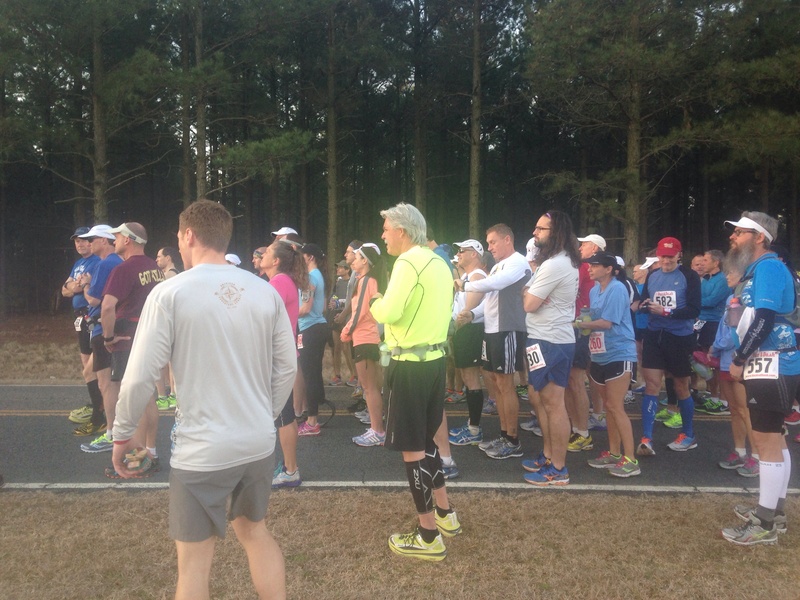 Congrats to Rick French who was lined up for his 21st Ellerbe Marathon! After completing just one I can honestly say that is a big freaking deal! Hats off to Rick! No timing chips, not race mats, Mark set us on our way with a “Ready, Set, Go” Simplicity at its best! 5. 26.2 rolling miles! Minimal to no traffic. Majority of the traffic were the volunteers keeping an eye on the runners. 6. 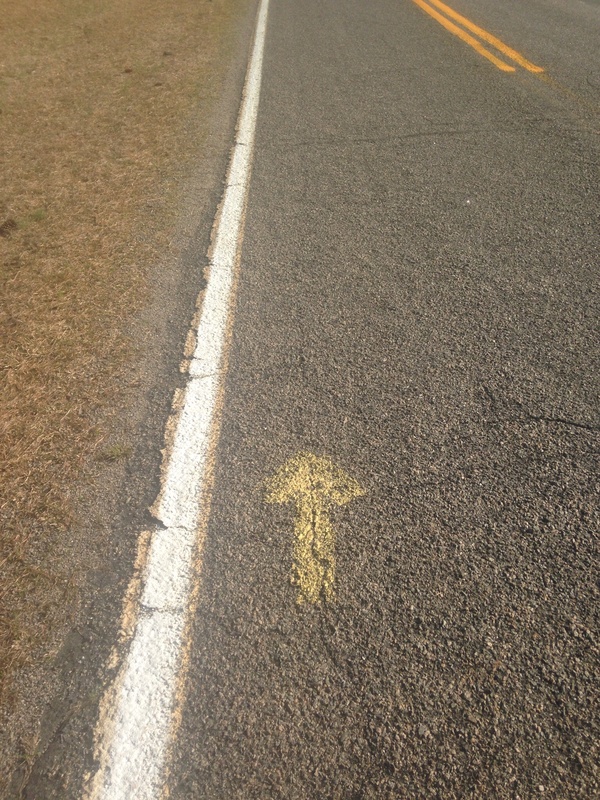 Simple…run into traffic and follow the yellow arrows. Admittedly, I was a little nervous being responsible for finding my way along the course but it was very well marked with yellow arrows. 7. What comes up must go down! Awesome downhill segments. Great reward for the many uphill climbs. 8. 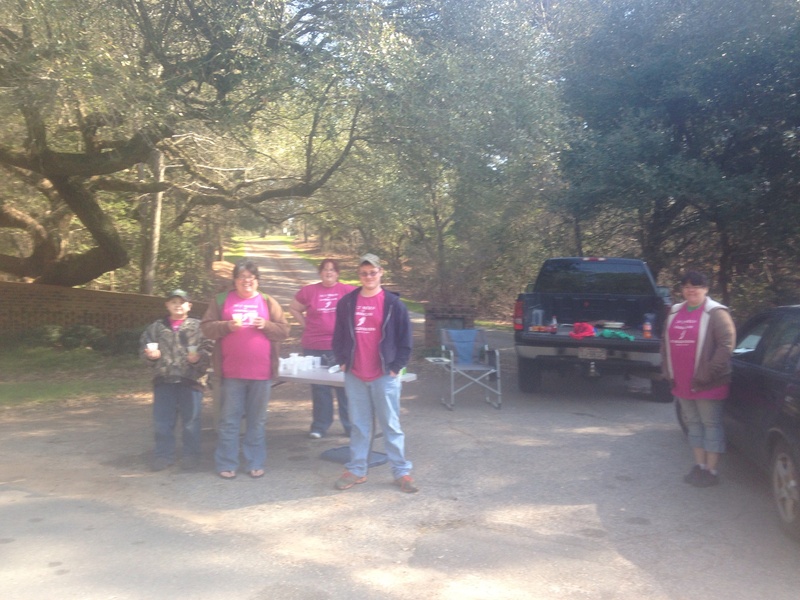 Awesome aid stations and super friendly volunteers. ICE cold water, oranges, pretzels, etc. Extra Bonus points for ICE cold water! Aid station at the bottom of “Hannibal”. Any hill with a name is not good! David and I were surprised we had completed it. It was not nearly as bad as what we had heard. 9. 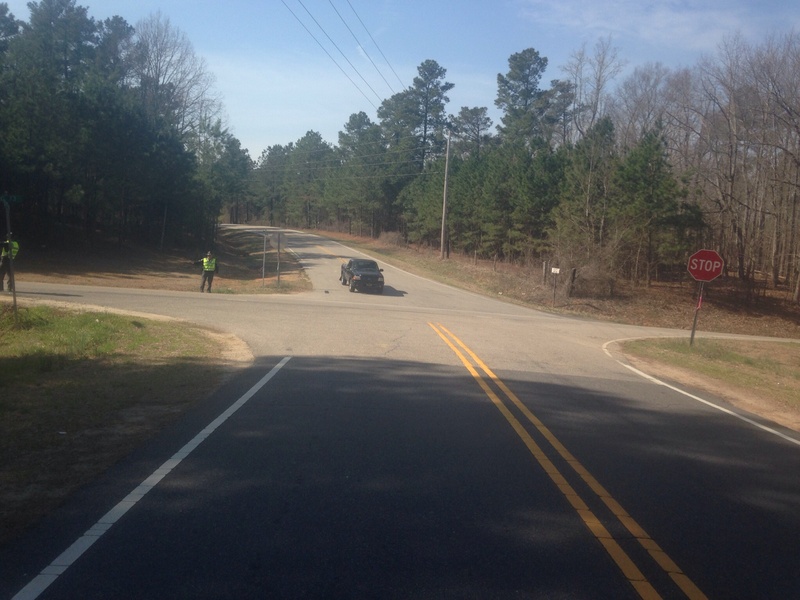 Sheriff assistance at major road crossings/intersections (there were two the entire 26.2 miles) You just have to love that this is considered a major road crossing! In all seriousness, I think it is awesome that Mark and Jerry had the Shefiff department monitoring these crossings ensuring our safety. THANKS! major road crossing. Believe it or not, they actually had to stop traffic for us. 10. More downhill! Trust me it is a VERY WELCOME site along this course. I was really excited for this one in the last 3-4 miles. 11. Post race grub! 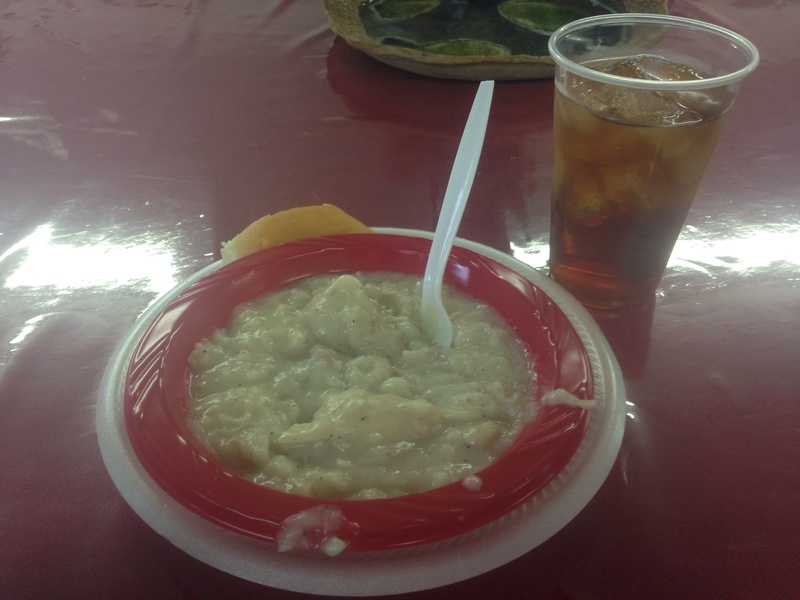 Good ole southern fare…chicken and dumplings, role, and sweet tea! It was super yummy protein and carb reload. 12. Super nice laid back friendly runners! I met some really cool people. Early in the race, I recognized Clay, a fellow blogger whom had commented on one of my previous blog post. We made the connection, chatted a bit, and covered some of the early miles. I eventually dropped back, but always had Clay in my sight. Around mile 11, I met up with David. We ran, (walked) and chatted for the next 12 miles. Wow, the miles just flew by! Thanks David I really enjoyed your company! David and I , always had Clay in our line of sight. We joked he was our unofficial pacer. You simply cannot go wrong with Ellerbe. 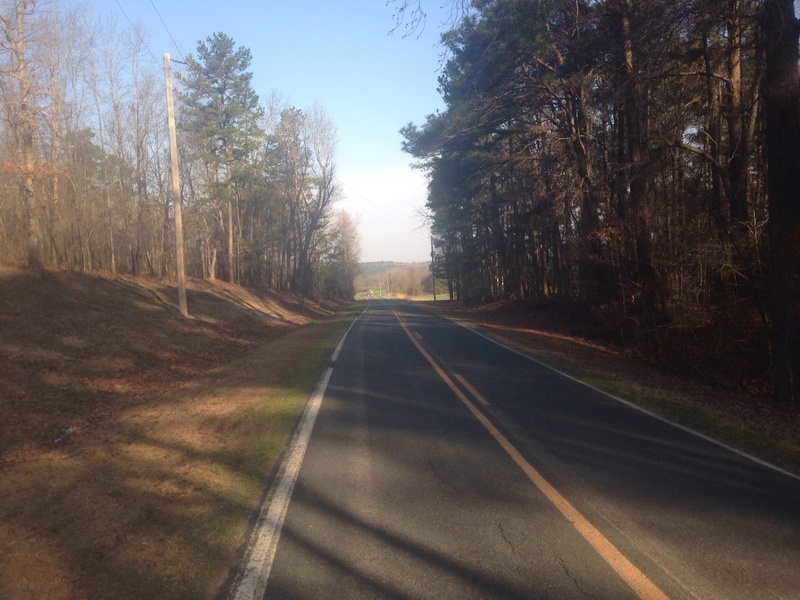 I approached this marathon( #16) as a training run with support. I was very relaxed, not worried about negative splits, pace etc. I walked the hills and whenever I was tired. I felt great! With my approach, I was able to take it all in and enjoy the beautiful surroundings. It was a beautiful day! It heated up into the low 70’s towards the end but the course offered lots of shade so it was bearable. The course is challenging. Of my 16 marathons, this was the most difficult from a course/elevation perspective. My opinion is that Ellerbe is much more difficult than Big Sur. 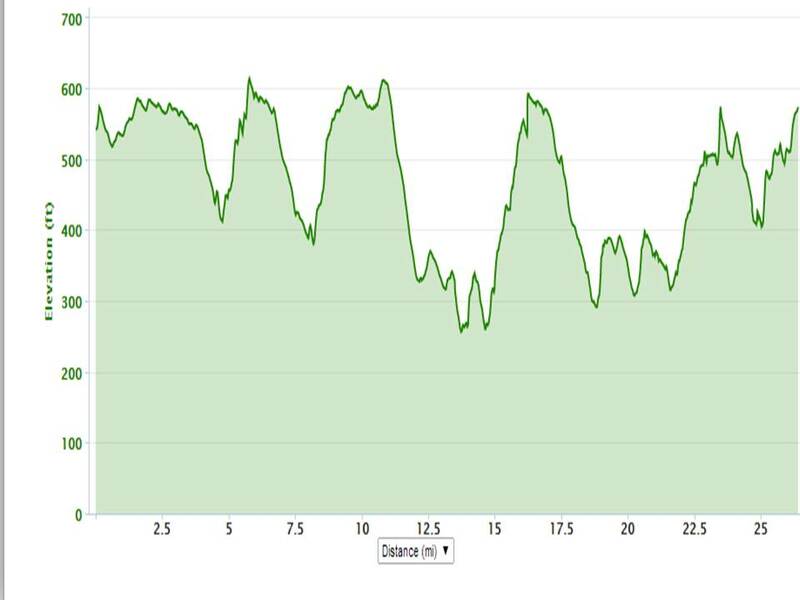 I lost my garmin data ( not really sure how this happened) from Big Sur so I cannot compare the elevation charts side by side. 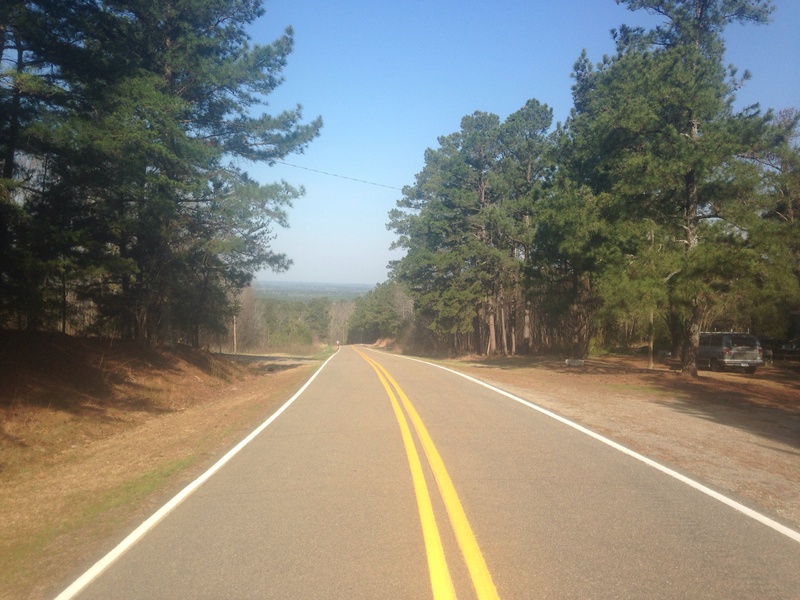 If you are looking for a challenge, or wanting to push your comfort zone give Ellerbe a try. I promise you will not be disappointed! 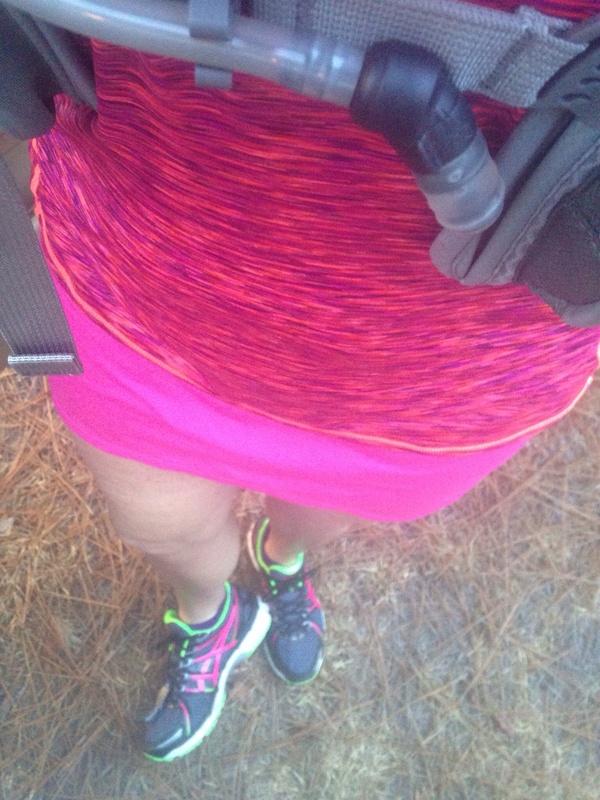 Head to Toe, Pink & Purple in honor of Ella! 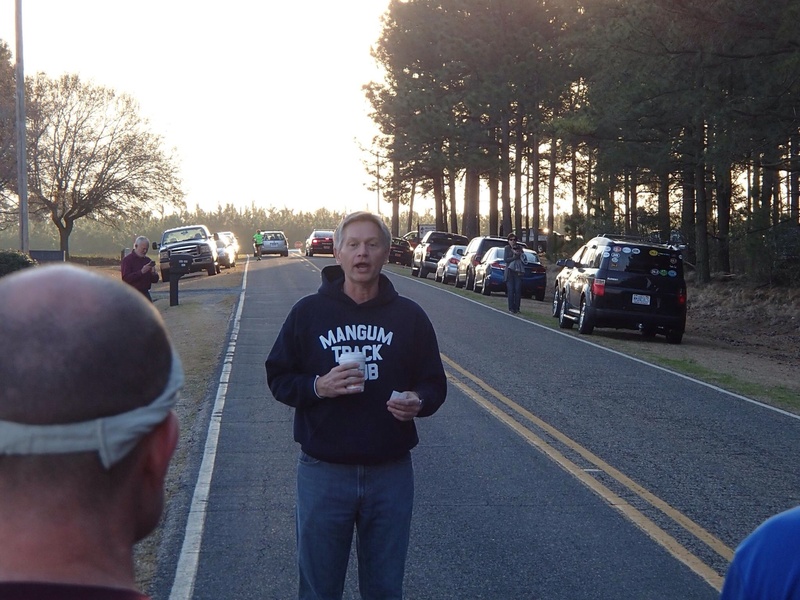 This entry was posted in Marathon, Ultra, Uncategorized, Womens Running and tagged Ellerbe, Ellerbe Marathon, hilly marathon, Mangum Track Club, marathon, mother runner, NC, regional marathon, run local, small races, The Cure Starts Now, ultra training by BoxerRunner100. Bookmark the permalink. 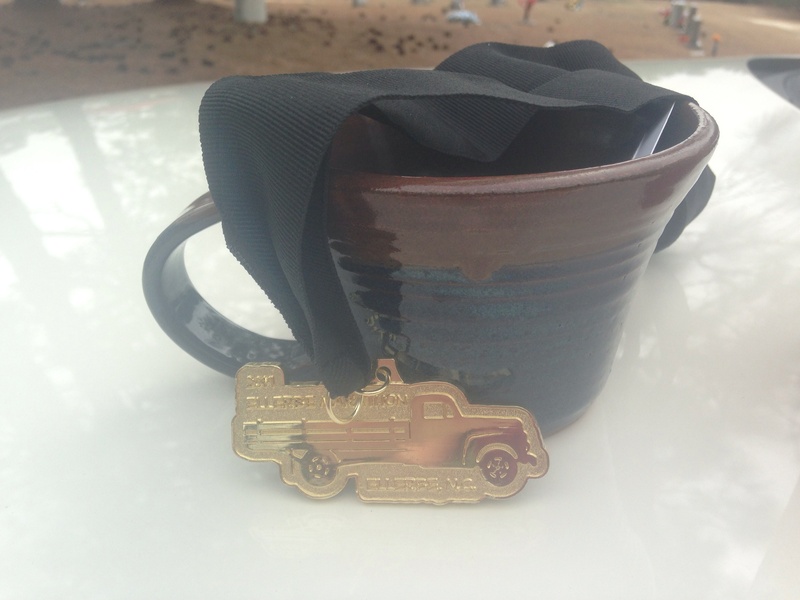 Loved your race recap with pictures and brief comments about each. Made for a quick easy read. It was so nice getting to meet you and talk some with you. Hope to see you at a future race & hopefully soon as a fellow MTC member! When I was in GA, I almost signed up for this one. Too bad I didn’t. Gotta love those small marathons though, something about the ease of the whole lead up. I’ll take a small one any day. Come on down! It is worth the trip and it will not disappoint. I met a lady from Atlanta, GA who has traveled up three previous times. Its that great!